Water resistant glossy shell backpack. There's no reason you can't join in the cuteness that is Catbug! 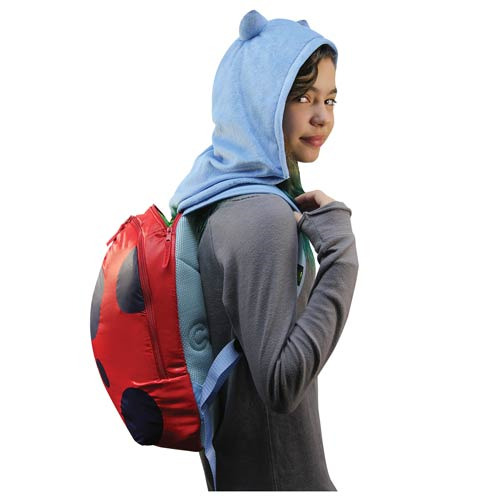 Become Catbug with this functional cosplay Bravest Warriors Catbug Hooded Backpack. A dimensional water resistant glossy shell backpack, the backpack features a Catbug hood with plush ears that's storable in a separate zip pocket, too. With padded adjustable comfort straps, the Bravest Warriors Catbug Hooded Backpack was made for ease-of-wear, too! Measures about 17-inches long. Ages 4 and up.